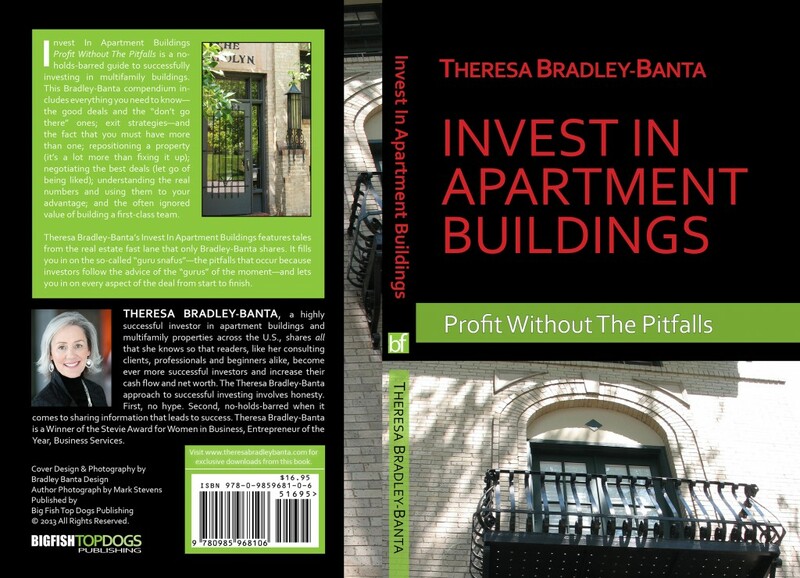 Theresa Bradley-Banta’s Invest In Apartment Buildings features tales from the real estate fast lane that only Bradley-Banta shares. It fills you in on the so-called “guru snafus”—the pitfalls that occur because investors follow the advice of the “gurus” of the moment—and lets you in on every aspect of the deal from start to finish. This is a well-written concise book on investing in apartment buildings. It was really entertaining too! Theresa Bradley-Banta shows you clearly how to find and understand good apartment investing markets; tour and evaluate properties (by driving by and by going to a showing with the seller or broker); obtain the actual property financials from the seller for use in property analysis; clearly understand investing terms, concepts and formulas; find a team and lead it; steer way clear of the hype around multifamily investing; and most importantly get into action free of fear and doubts. I found the book to be very inspiring. As an added bonus, she makes all of the documents from her book available for free download. I now have all the questions I need to interview both a commercial broker and a property manager (not to mention a great sample property management agreement), due diligence documents, sample Letter of Intent, sample real estate investor resume plus other great resources. I would encourage you to buy this book. Keep it handy as an excellent reference. And read it every three or four months as you build your investing business. I am an attorney and a real estate investor. I wish this book would have been available before I made my first investment. The book is clear and concise. It is educational and entertaining. Theresa’s book couldn’t have come at a more opportune time. Her book offers tremendous value and insight into this much publicized niche of real estate investing. Her voice is fresh and modern, a beacon in the midst of the media frenzy surrounding new apartment building construction. It is a welcome tool which can help first timers or experienced pros find their way through the mania and hype of multifamily investing. Theresa has mastered the multifamily investing arena. She is able to provide piercing insight into what is now fast becoming the bright spot of our economy-real estate. 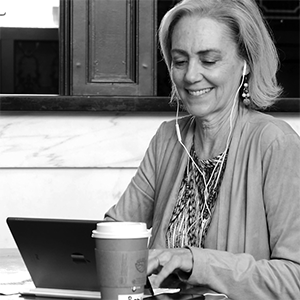 Her book is a down to earth practical guide to multifamily investing. Do yourself a favor and read it before you invest. I’m a seasoned real estate investor who has invested thousands of dollars in seminars and tools to learn my craft. Theresa’s book ranks up there with the best. It is an interesting, easy to read, packed with practical information book on investing in multifamily real estate. If you invest in real estate you need this book in your library. I’ve been investing in single-family houses for a couple of years now and I’ve wanted to make the move to buying apartment buildings. As a newcomer to multifamily investing I did not want to make costly mistakes. Theresa Bradley-Banta has delivered the goods when it comes to practical advice. Not only does she cover successful deals she shows you why she chose to pass on deals that didn’t match her strategies. Most books promote apartment building investing as easy to do, going as far as saying anyone can do it. As an experienced real estate investor I know this simply isn’t true. Big mistakes can be made when you’re dealing with millions of dollars. I found Theresa to be refreshingly honest about the potential downfalls and mistakes that can be made. In my opinion? Priceless! Finally a Real Estate book on investing in apartment buildings that is hot off the press and right on the mark. Real estate was, is and always will be a great investment if you approach it from the right point of view. Apartments are after the Great Recession the hottest market in the country. Invest In Apartment Buildings gives the reader an honest, comprehensive look at what it takes to invest successively in multifamily real estate. This is a must have book for any serious real estate investor. Theresa bradley-banta`s book invest in apartment buildings is a valuable resource and guide and wealth of information on how to invest in multi-family properties and apartment buildings and steer clear of the troubles and dangers and problems that make people fail in commercial real estate.Theresa generously shares her priceless knowledge, information and real world experience to wisely invest in multi-family real estate and avoid the bad advice and wrong information of the gurus.This book has tips on how to find good deals,real estate math,property management and hiring the right property managers,investing in the right market,negotiation,who to talk to find about an apartment building, inspecting the property,raising the money to fund apartment building deals,building a team to help you,getting a mentor, working with commercial real estate brokers and other great information.